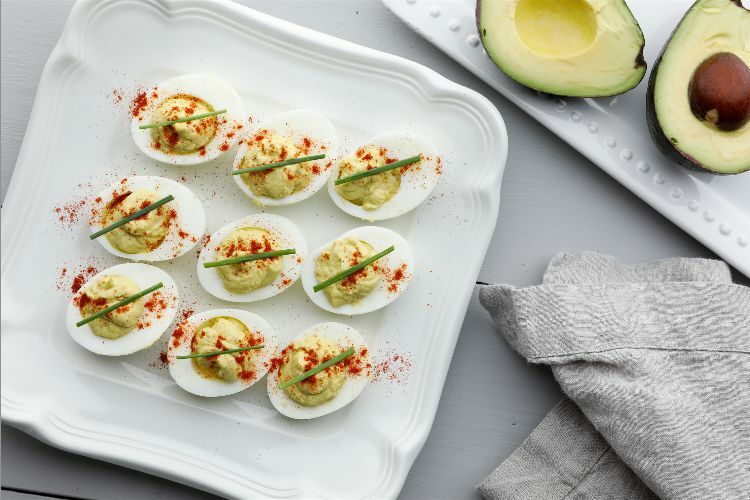 Deviled eggs are always the first thing to disappear from a picnic or party spread. I swear it happens every time I serve them. The recipe below adds a fresh new twist to the classic midday party dish. These are sure to disappear even faster than the traditional. Made with a whole, diced avocado and only a dollop of mayonnaise, these delicious little devils aren’t just good, but good for you because of that healthy monounsaturated fat from the avocado. I love to serve these as an afternoon barbecue appetizer or for a garden party lunch or brunch. In a medium mixing bowl, mash the avocado with a fork. 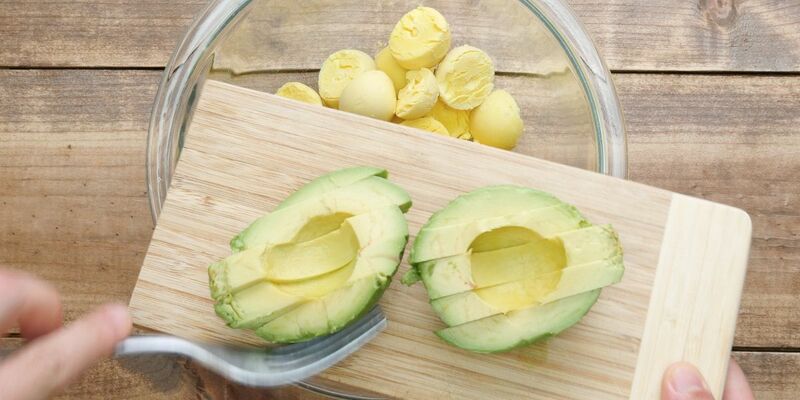 Scoop the yolks out of the halved eggs and add them to the bowl with the avocado, mashing them in with the fork. Mix in the lemon juice, mayonnaise, salt, and cayenne. Spoon a generous spoonful of the yolk-avocado mixture into the well of each of the egg whites. Cover and refrigerate until ready to serve. Just before serving, garnish with paprika and chopped chives.